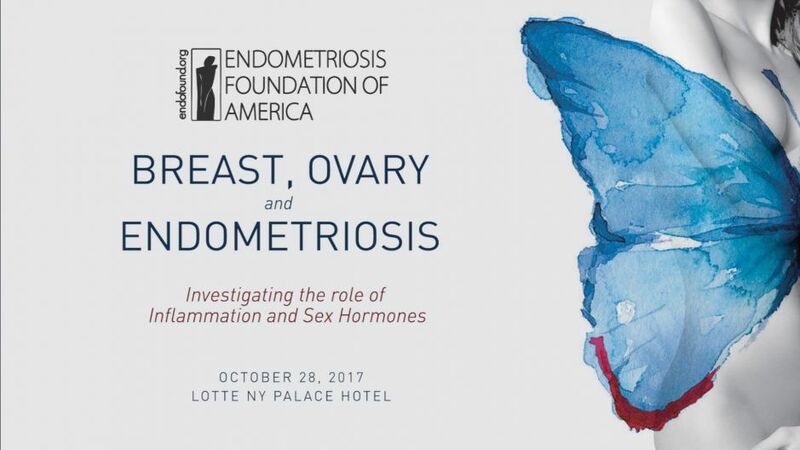 I am excited to invite you to our upcoming medical conference “Breast, Ovary and Endometriosis” on October 28, 2017, in New York City. In recognition of “Breast Cancer Awareness Month,” this one-day conference will explore the relationship between endometriosis and estrogen at the molecular level and how it relates to an increased risk of both breast and ovarian cancer. At this conference, attention will specifically focus on the similar behavioral pattern between breast cancer and endometriosis, as they both exhibit uncontrolled, estrogen-dependent proliferation. Evidence linking endometriosis with breast cancer is vague and relies mostly on the hormonal dependence and the common risk factors for both diseases. Is there interplay between the medications used to treat both conditions? Do oral contraceptives and progestins used to treat endometriosis have an adverse effect on the breast? Is there the possibility of unique estrogen production or progesterone resistance? It is time to start answering these questions. 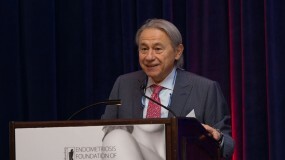 The Endometriosis Foundation of America (Endofound) is committed to shining a brighter light on research, and fostering new relationships and scientific collaboration to uncover the link between endometriosis, breast and ovarian cancer.